UPDATE: Apparently the problems plaguing the R7 update in the US could be problems in Canada as well. According to tech support, the R8 update (payroll) will be released by the end of June. It is advised that you wait! Employees > My Payroll Service > Tax Table Information. 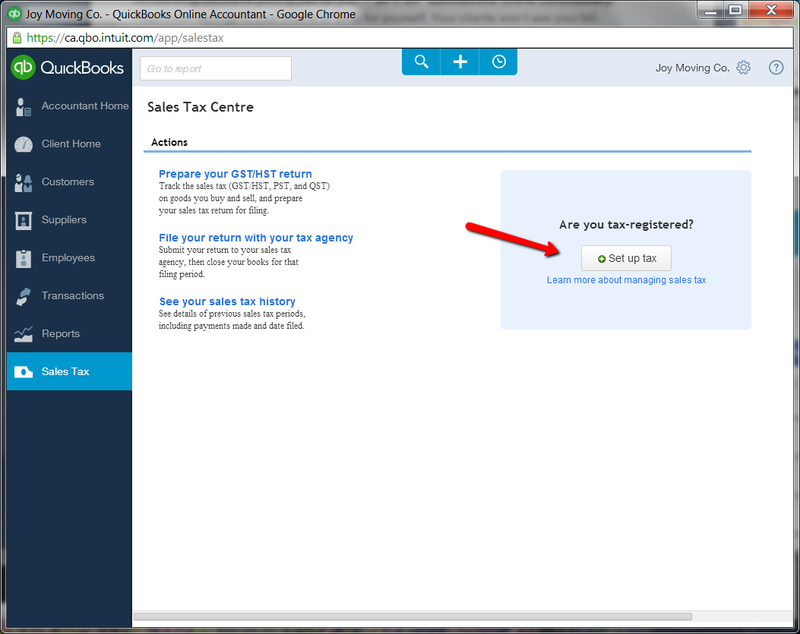 From there you can click on the Tax Table Info button for more detailed information. One important thing I noticed about this release is that they’ve removed the Samples of Common Payroll Items guide from the HELP menu! Rather than a handy chart, they now direct you to the CRA website. I’m not a fan of this change! 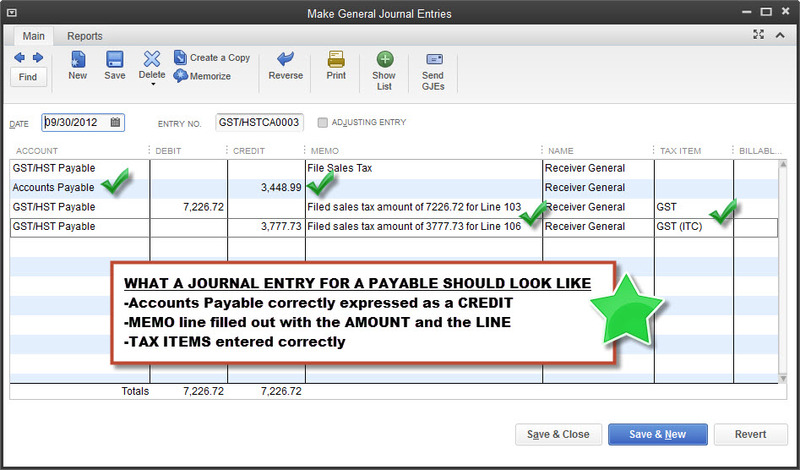 I loved the Samples of Common Payroll Items guide. However, I’ve been told by the folks at Intuit that this change is permanent. TIP: before updating your file to R7, copy and paste this guide into Word. That said, it’s always been a good idea to consult the CRA and Service Canada websites when setting up your payroll items. Look for the T4130 Employers’ Guide – Taxable Benefits and Allowances on the CRA website and information about insurable earnings on the How to Complete the Record of Employment Form on the Service Canada website. I was hoping the R5 update would fix the T4 address glitch, but it hasn’t. The problem is that employee addresses – modified after installing QB 2013 – seem to have duplicated themselves on the T4. 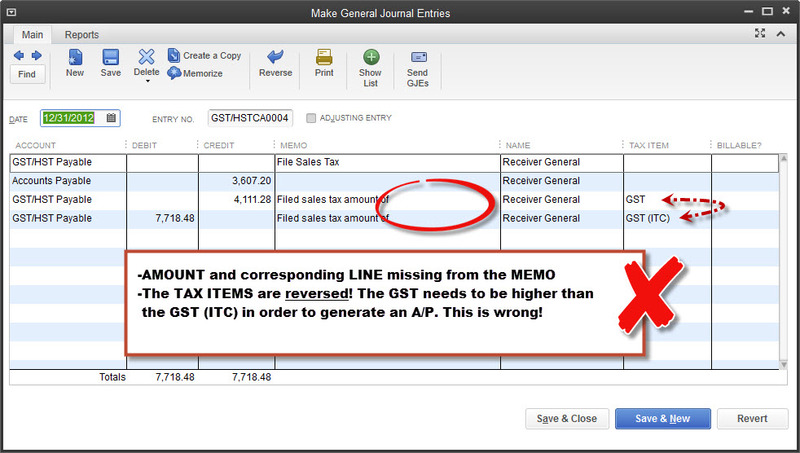 Canada Post is aware of this problem and the T4s will be delivered with no problems. However, if you don’t have too many forms and/or the glitch is bothersome, you might consider this fix: place a period (.) on the second address line. It takes the place of the duplicated address on the T4. Tiny but mighty! And here’s an important note. If you’ve had address issues with employees (and even if you haven’t), please check your COMPANY INFORMATION window before issuing T4s to make sure the address is correct. I’ve seen several data files where the company address had duplicated itself quite strangely as well. One last word of advice. Always check over your T4s very carefully. 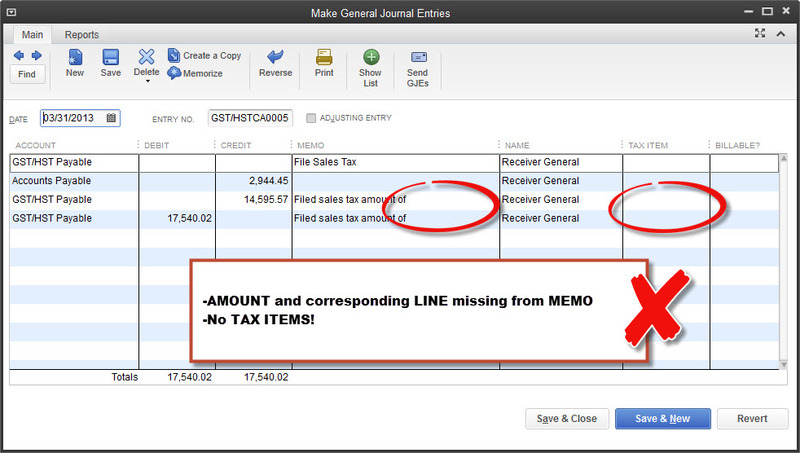 Run the T4 Summary report and an Employee Summary Earnings report to cross check all figures. This morning I’m having an issue with Box 24 showing the same random amount of $50 for all employees. This is very peculiar. I’m thankful I can manually update Box 24 so I can get these processed.